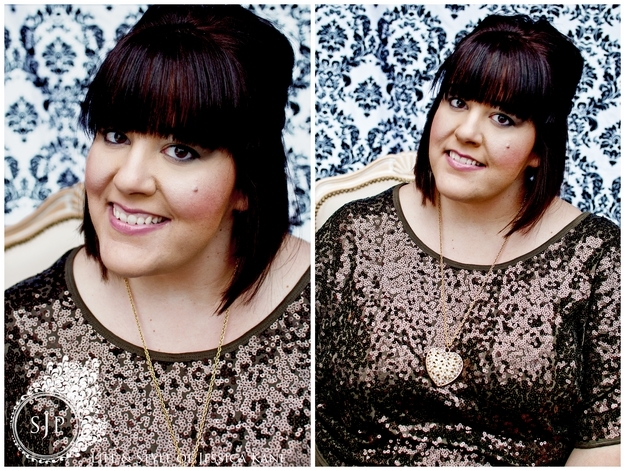 Had to share my new headshots from Stacy J Photography, I can't tell you how much I loved the backdrop and my sequin top from Karen Kane. And, I also loved how this shoot challenged my stance on photoshopping myself more than I had expected. Stacy is a very popular Portland photographer who's clientele is a roster full of models and wannabe models. When we connected, it was an opportunity for BOTH of us to show a different side of ourselves. For her, she is sooooo used to models complaining about their body/skin in the image and begging for her to "fix" the flaws, while she can, she was excited to work with me being that I refuse to be "fixed." I actually loved her glamour edits, but knew they were not me. My policy is - you are PERFECT the way you are. We are too bombarded by "fixed" images to realize what is real anymore and to truly appreciate it. I vow to keep my images real because I am not ashamed of one lump, bump, pore or wrinkle, and neither should you. Behind the scenes fact: This "studio" was just outside my garage! We hung the backdrop from my garage door, put up the chair and took advantage of the amazing natural light that day. Loved it. And, I have to also give a shout to Stacy for doing my makeup - it was airbrushed on - ironically!! :) I have to say, I loved the matte and glow of it! Thanks Stace!